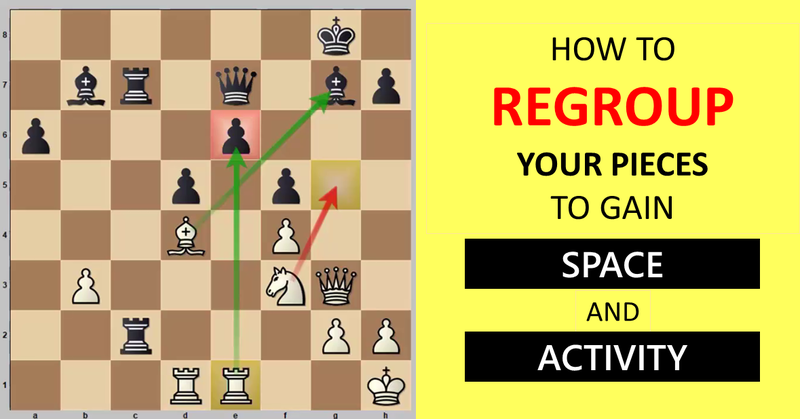 The advantage of space in chess enlarges your influence over the board and provides options that can be exploited tactically and strategically. It increases the flexibility of your pieces and compresses your opponent into accessing a limited number of squares only. Ever since chess strategy began to take shape, the space factor has been considered supremely important for the evaluation of a position – so much so that some authors have recommended formulae by counting squares and deducing mathematically who has the advantage. Over time, we have come to recognize the relativity of space, as evidenced by defences like the King’s Indian or the Hedgehog systems, where Black cedes space in exchange for attacking the pawn centre later on or taking advantage of the weaknesses they leave behind with their advance. However, when a space advantage is pure, it alone can give us the right to fight for victory. Knowing to differentiate when it´s “pure” and when we are going too far in advancing our pawns certainly requires study and experience. Recently, I played a game where I had to distinguish between the two. The Advance Variation of the French Defence is perfect for examining the issue of space and pawn chains in chess; hence, it´s not for nothing that it was a favourite of Nimzowitsch. This is one of the most complicated lines for White in the Advance. With his last move, Black impedes his expansion on the queenside with 7.b4, while he himself gains ground in this flank by advancing his pawn to the fifth rank; the first player can still plan for b3 later, but Black will continue making it hard for him. 11.Re1 is usually played in this position, but I prefer to develop my queen while defending the pawn on c3, thus enabling the desired rupture b3. This pin is not as effective without the queen on b6. In fact, the bishop will be out of place on this square; and if it ends up taking my knight, I´ll be granted the bishop pair. 15.Qd3 I get out of the pin and start to flirt with the kingside: Qg3 can already create problems for Black. This move is key. The Black knight, which has made efforts to reach b6, is now unable to move. At the same time, my knight supports a future c4 and my rook is active on the open file. Castling was not possible due to the h6-pawn hanging, so Black tries an artificial one. On the other hand, 19…Ba3? would have been met with 20.c4! (attacking the bishop with my queen from g3), followed by c5 and Nb7. 20…Kg7 now faces 21.h5, creating serious weaknesses on the kingside. Black is unable to castle his king, has his h8-rook uncommunicated with, his b6-knight immobilized and no weaknesses to attack. Meanwhile, my space advantage allows me to play on both sides: on the kingside, I can plan h5 and on the queenside, I have c4. Black has relocated his bishop to a better diagonal, thereby defending the g6-pawn against a possible h5. However, the break comes from the flank he has just abandoned. The space advantage is more overwhelming than before. While I have not placed more pawns on the fourth rank or beyond, my bishop on d6 completely immobilizes my adversary. In combination with my double rooks and possible penetration on c7 (with exchange sacrifice if necessary), victory isn´t too far away. In desperation, Black sacrifices his g-pawn to see if he can get something with his h-pawn supported by the rook on that file, but I have nothing to fear. 32.Qf4 Rac8 33.d5 As always, a pawn rupture is needed to convert the advantage. One of the mathematical formulae to calculate space advantage consists of counting how many pieces each side has on the fourth rank and beyond. If we perform that calculation right now, White wins 6-2. Due to time trouble, I miss the sequence that gives me an instant win: 39.Qh6 Kg8 40.Qf8 Kh7 41.e6! winning the exchange and the ending. By my missing this chance, Black gets a break. He has exchanged several pieces, which is something that usually favours the constricted side, and may even recover the g5-pawn. I still have an extra pawn and even space advantage, but the Black king is now active and blocking my pawn chain. I am also under time pressure and, as we know, mistakes usually come in pairs. 43…Re8 44.Kh2 Kg4 45.Rc4 Re6 46.Rc8 Be7 47.Re8?? A blunder that can only be explained by time trouble and the psychological demoralization of having missed the victory. 47…Bxg5! I completely missed this tactical blow. Suddenly, Black not only regains the pawn but captures another one and gets a winning position. The rest is easy for him. We need to recognize when our space advantage is pure, since this signal tells us that we must keep moving towards the enemy camp. A mathematical way to identify this is to count the number of squares each side occupies on the fourth rank and beyond. Space advantage and attack on both flanks are two things that go hand in hand. In fact, if you are attacking on one flank and your opponent is on the other, it would be more like a minority attack or a dynamic position with opposite side castlings. In this case, 20.h4! activated my kingside when I was already active on the queenside. When asking yourself how to proceed with your space advantage, look for effective pawn ruptures. I started playing chess 18 years ago and, throughout my youth, I won three Pan-American championships (U12 and two U18) and represented my country in five World Youth Championships. I still play regularly in the top division of the Spanish league. Recommended: Get the qualitative leap in your chess development, you need to go beyond studying tactics, opening lines, etc. 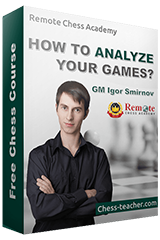 Get “GM’s Positional Understanding” now HERE. P.S. Do you have more observations about space in chess? Share them in the comments below!